The reserve is north of Gorman, south of Buttonwillow. From north- or southbound I-5, take the Stockdale Highway exit and go west to Morris Av. Turn left; continue and road becomes Station Rd after a right-only turn. Park entrance is on the left. 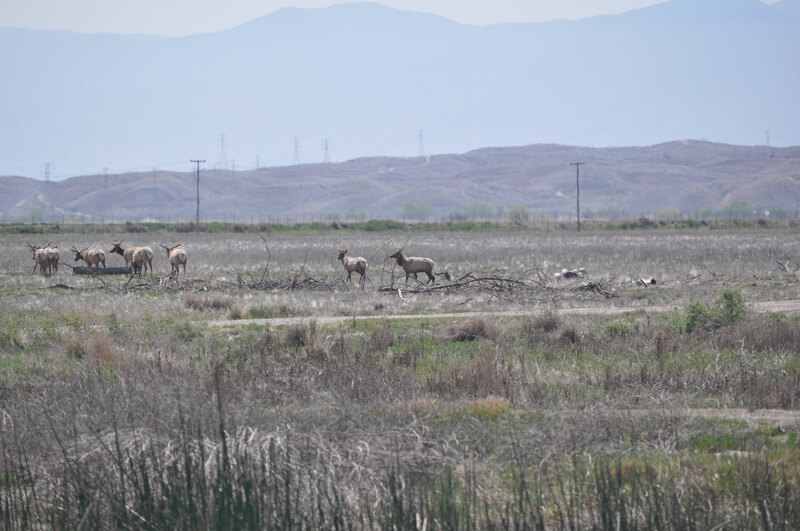 Tule Elk State Natural Reserve protects a small herd of tule elk, once in danger of extinction. In the 1800's, the vast herds of tule elk were greatly reduced in number by hunting and loss of habitat. In 1874 cattleman Henry Miller began efforts to save them. At that time few elk remained. 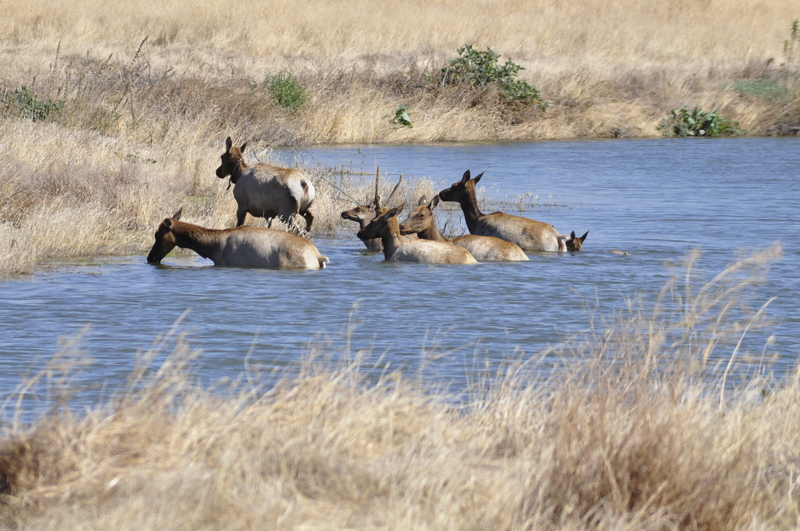 In 1932, the herd was given permanent protection on the land now known as Tule Elk State Natural Reserve. 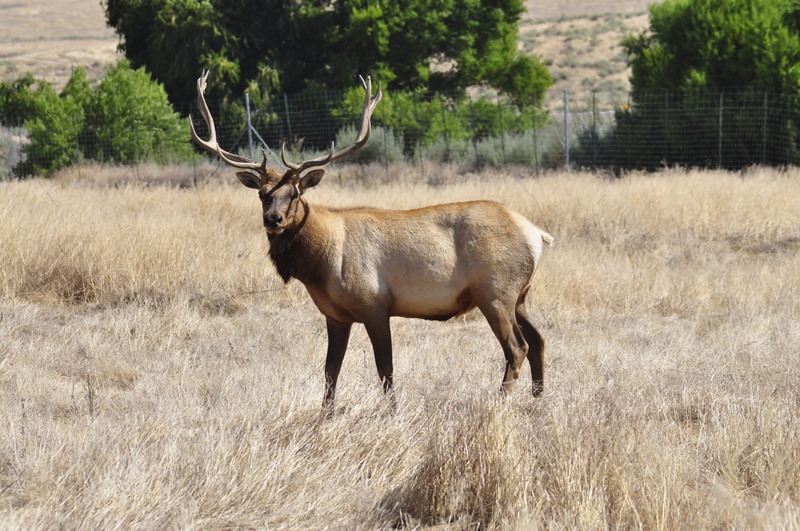 Elk from the reserve have been successfully transplanted to other areas in California. Today nearly 4000 tule elk are again free roaming the foothills and grasslands of California. The elk are most active from late summer through early autumn. Visitors are encouraged to bring binoculars for better viewing. The park has a picnic area that offers an excellent opportunity to observe birds of San Joaquin Valley. Interpretive exhibits may be viewed to the south and east of the comfort station. The reserve is 20 miles west of Bakersfield off of Stockdale Highway west of I-5, in the vicinity of Buttonwillow. The weather can be changeable; Extreme heat during summer months, cold foggy winter weather. Regular Day Use fee applies ($8.00 per car).